If you are using the Japanese version of SilkCentral Test Manager and go to the Reports section there is an issue with the default parameters of the trend reports. 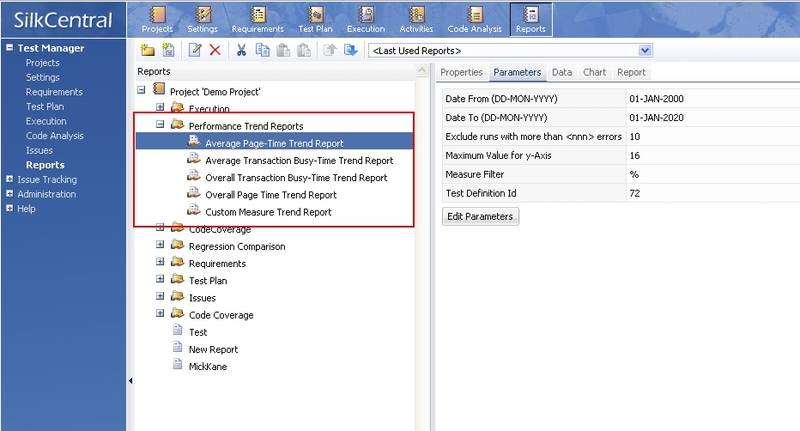 These reports are located under the Performance Trend Reports folder. The default parameters work fine with the English and German versions of SilkCentral Test Manager. However if you are using the Japanese version you will get the following display when accessing the Data tab with the default parameters still set. The English translation of this error is "Could not execute report query: Conversion failed when converting datetime from character string". I have also attached the full trace from the FrontendServer.log file for your reference. 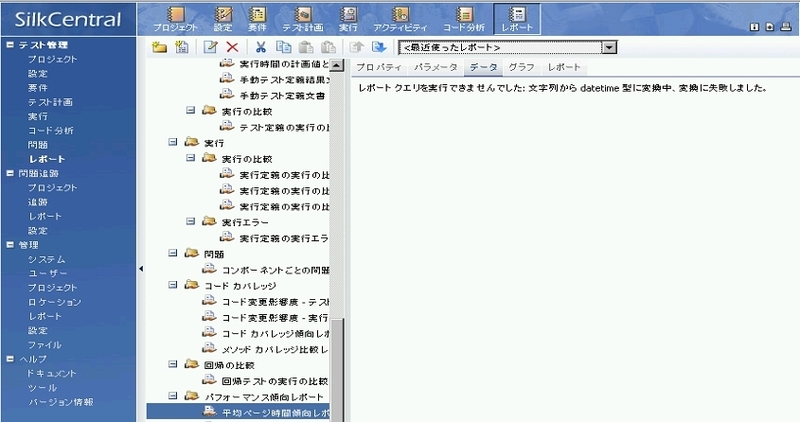 This issue is caused by the fact that default values in the Parameters tab are not valid date format for Japanese operating systems and databases. 2. Change to date values with correct format depending on your database configuration.